A. Felix DuPont presented the Smith papers to the University on March 26, 1936. The Thomas Mackie Smith papers contain one series, Papers, that is arranged chronologically. Thomas Mackie Smith was born in Philadelphia, Pennsylvania on June 27, 1809. His parents were Francis Gurney Smith and Eliza Mackie. He attended the University of Pennsylvania and earned the degrees of A.B. in 1828 and M.D. in 1831. He served as a resident physician in the Philadelphia Almshouse. In 1834, he married Eleuthere DuPont and moved to Delaware. 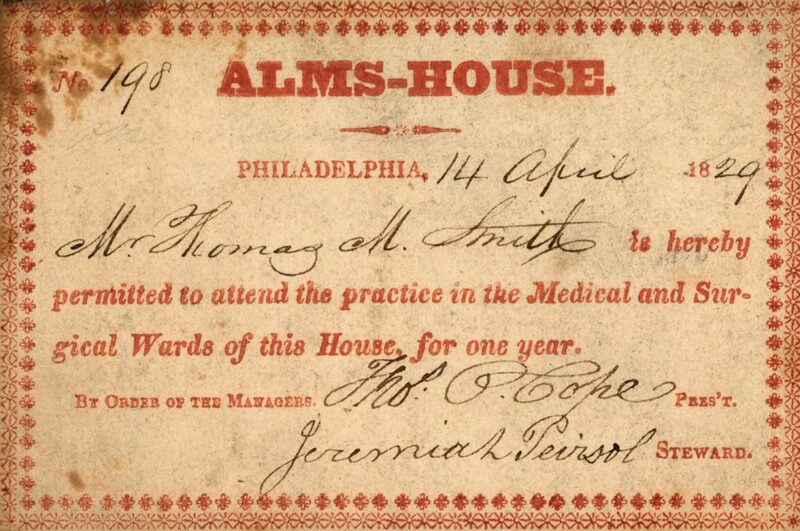 Smith joined the Delaware Medical Society in 1847. He died of rheumatism in 1852. 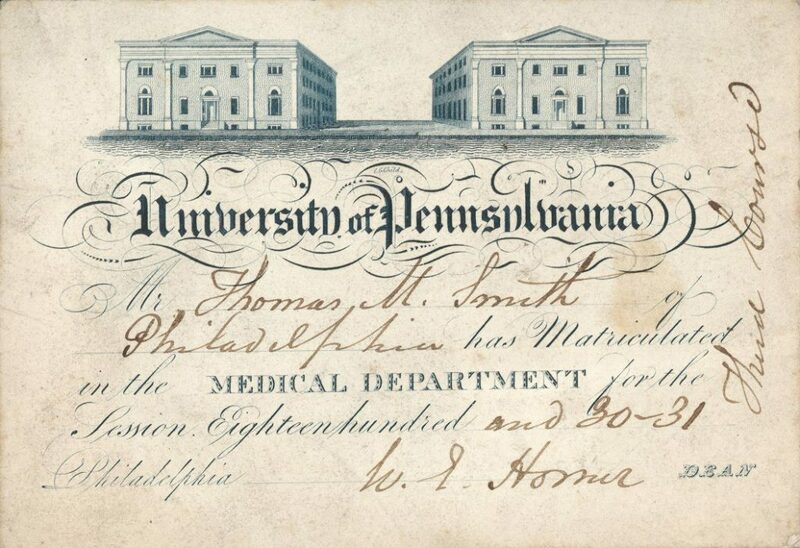 The Papers series (1826-1847) contains documents relating to Smith’s attendance at the University of Pennsylvania, including lecture tickets, a commencement announcement, a commencement program and a registrar’s bill. In the correspondence folder are letters to and from a Ms. Emma Kenyon regarding Smith’s medical advice given to her father. There are also letters concerning rental property and travel.